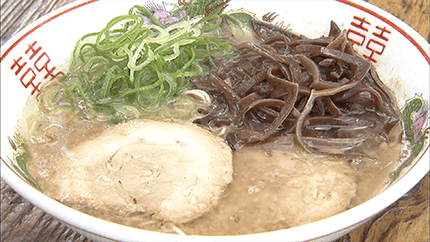 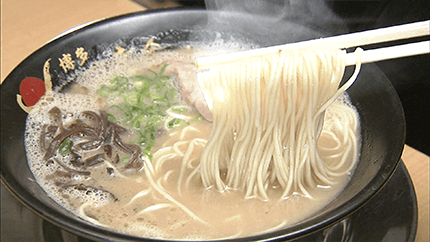 Japan Food Quest: Kyushu | Japan Food Quest: Kyushu jibtv.com | Japan International Broadcasting Inc.
Quick, affordable and delicious- That’s Hakata’s soul food, Tonkotsu Ramen. 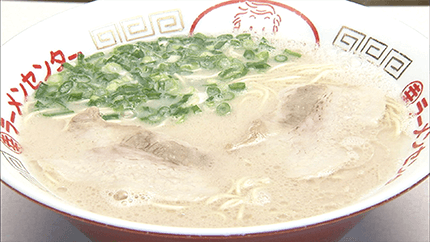 It’s an iconic food specialty of Hakata in Fukuoka known for its distinctive aroma and rich soup. 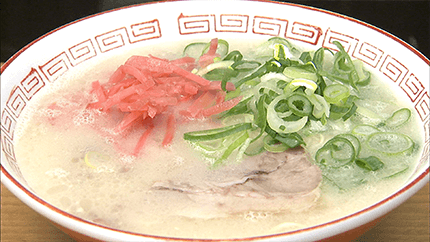 Hakata Tonkotsu Ramen has various tastes and flavor depending on its countless number of recipes. 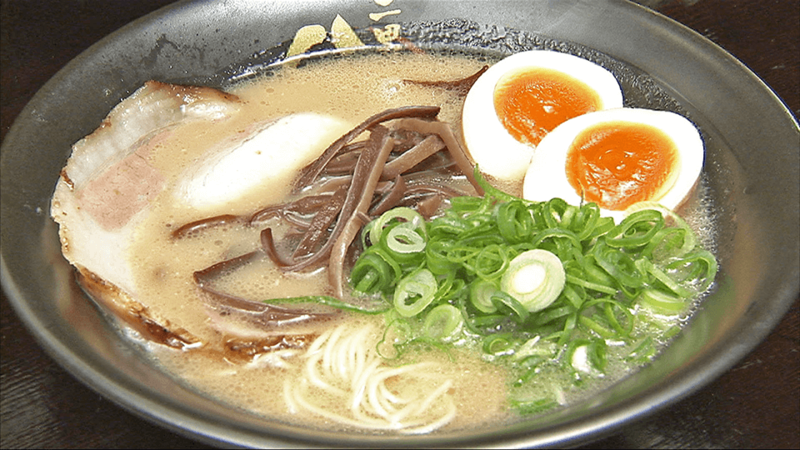 Each bowl of ramen comprises of soup and noodles perfected with all the might and main of the chef. 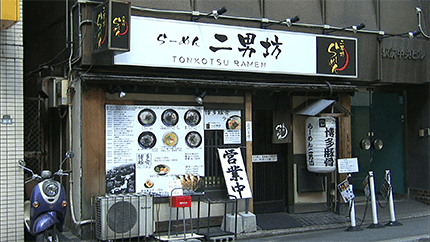 It is said that Tonkotsu Ramen originated in the city of Kurume, Fukuoka. Its milky-white soup was a result of a cooking mistake, which then evolved into Tonkotsu Ramen, loved by children and adults today. 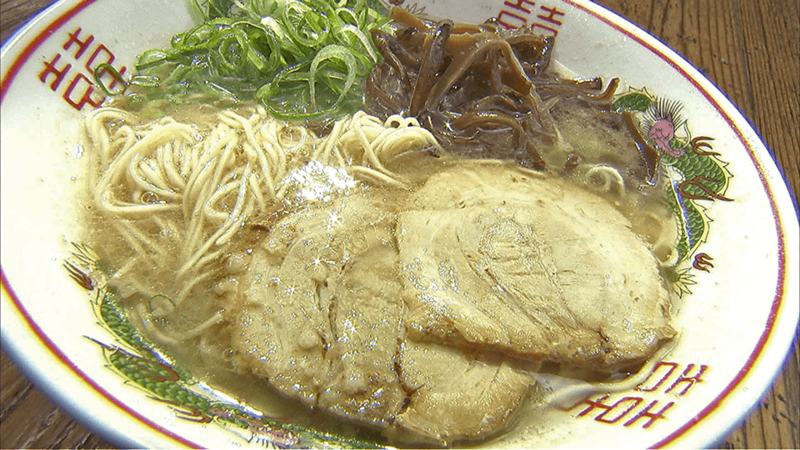 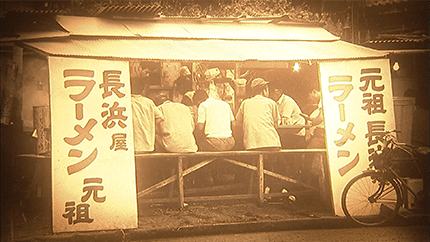 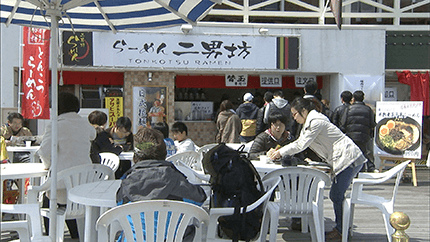 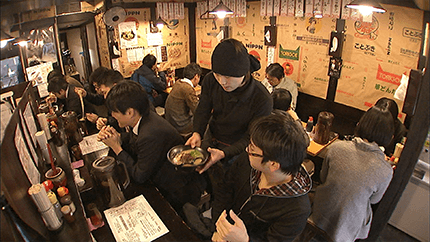 As the popularity of local ramen sparked, it has also become a tourist favorite. 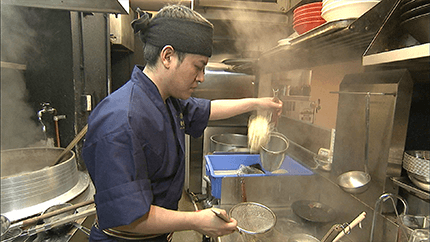 Jiro Umemoto is a young ramen chef. 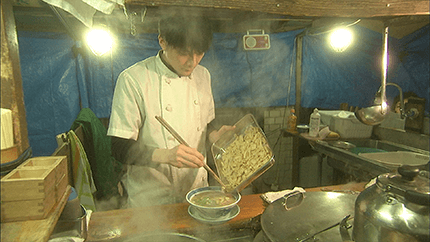 Inspired by his childhood memory of eating ramen with his father, he quit his company job and decided to open up a ramen shop. 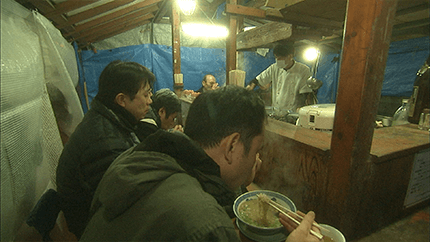 A bowl of ramen has changed his life. 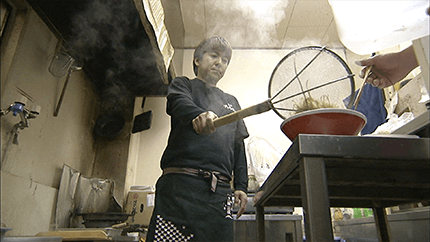 In 5 years, his ramen business has grown and now has 8 branches. 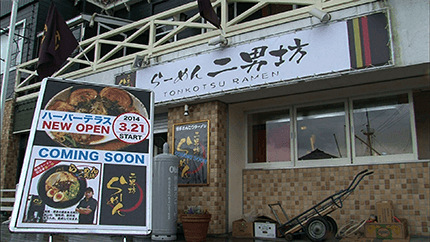 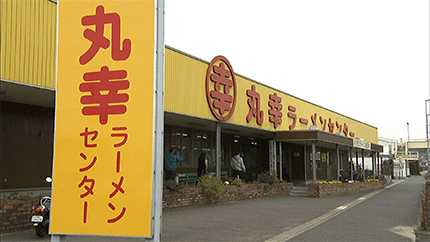 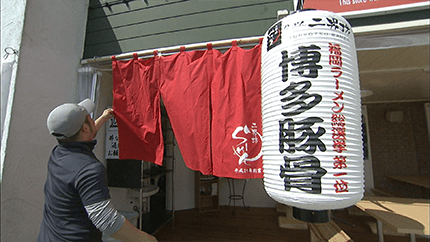 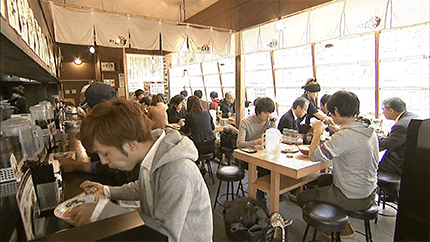 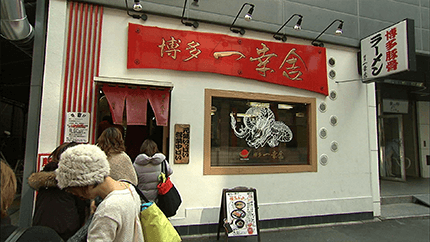 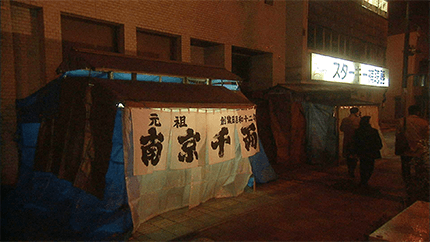 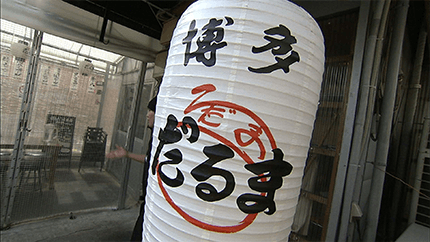 His shop also won a popularity vote for the best ramen shop in the locality. 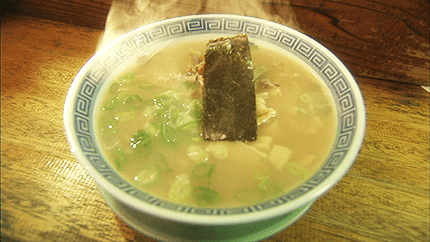 The program features the history and appeal of the ever-evolving Tonkotsu Ramen seen through the spirit and passion of the specialty’s chefs. 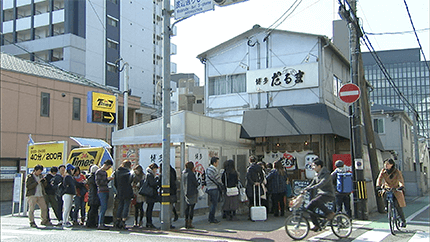 Hakata Ikkousha has 14 shops in Japan and 31 shops outside Japan. 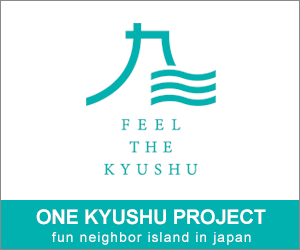 A new shop will open in Thailand on Sep. 3, 2016. 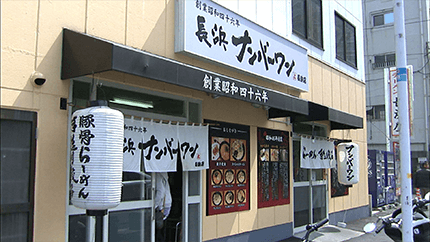 Another shop is scheduled to open in September in Beijing and Guangzhou, China.